Give this fabulous living tree of your choice to express your love. Presented in our custom-made sustainable pine box with the words "Expression of Love that's Growing every day" printed on the lid. 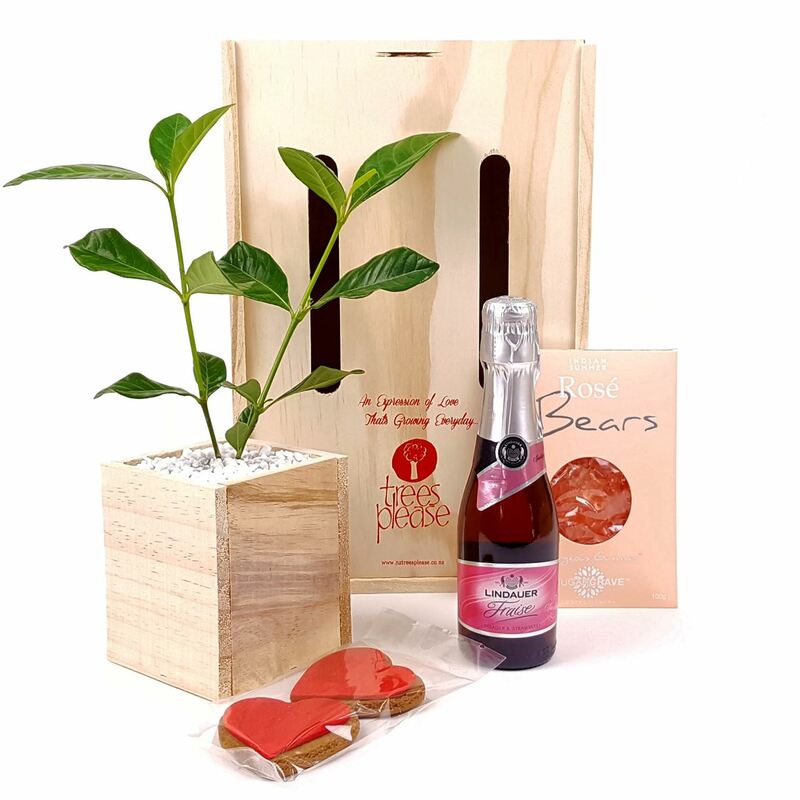 Inside , along with the tree is a bottle of Lindauer Fraise, Molly Woppy gingerbread cookies and delicious Indian Summer Rose Gummy Bears. This delightful, unusual gift is sure to make them all smile. They will eat the goodies very quickly but the tree will give pleasure for years to come..
Baby tree presented in custom-designed wooden planter containing high quality potting mix, finished with white river stones.